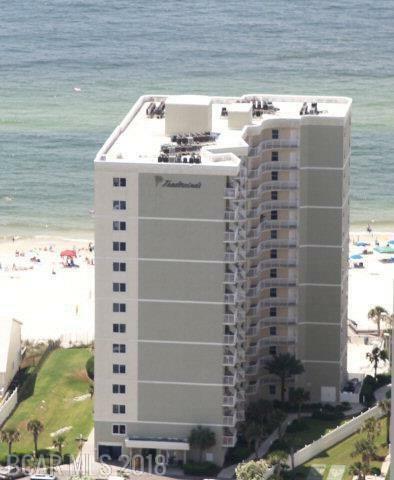 This Direct gulf front Orange Beach Condo is fully furnished on the 9th floor. 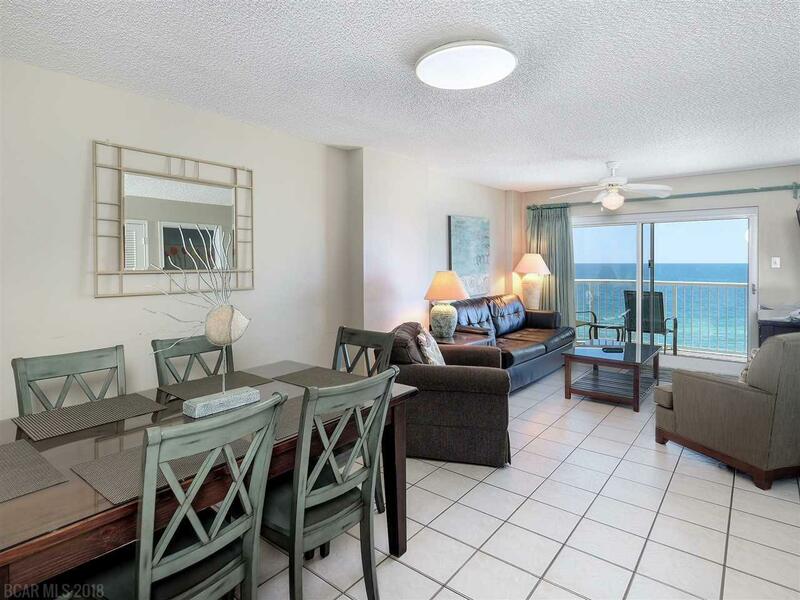 It has two bedrooms, two baths and fabulous views of the Gulf of Mexico & beach from the balcony, living room and kitchen.The unit has recently been updated with all new furniture. Tile throughout, carpet in the bed rooms. It is equipped with everything you need for comfortable living including wireless Internet. There are 2 TV's in this unit. The Master Bedroom has a King size bed. 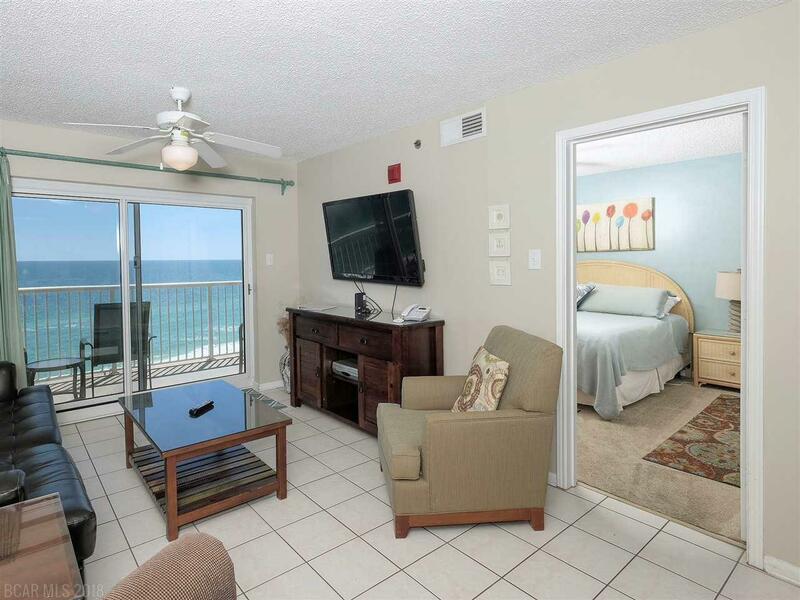 The second bedroom has a Queen Size bed; this condo also has a Queen Size sofa sleeper in the living room area. 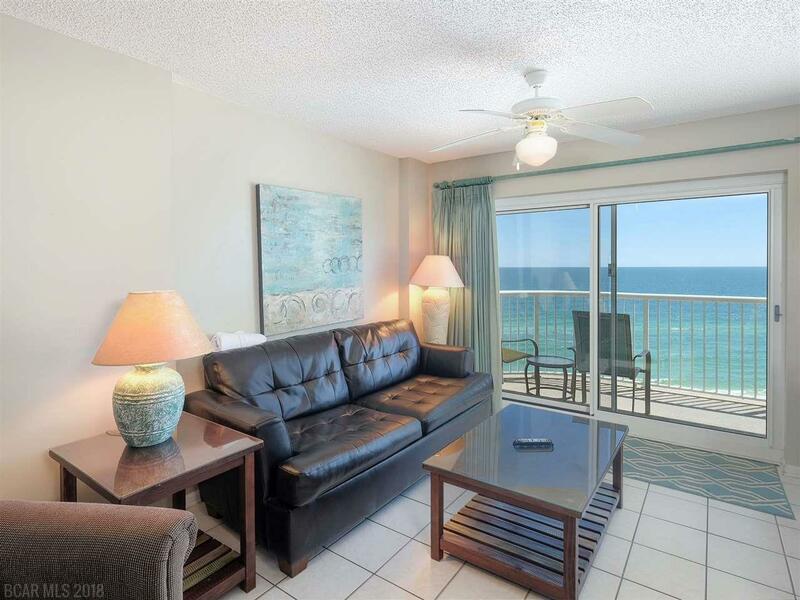 Tradewinds offers a swim in/ swim out indoor/outdoor heated pool with a huge sundeck, BBQ area, out door shower and private boardwalk for easy access to sandy white beaches. Prime location to shopping, dining and entertainment.